Feb 26, 2018 (LBO) – Huawei, has become the first mobile device manufacturer in the world to use an AI-powered smartphone to drive a car. The ‘RoadReader’ project pushes the boundaries of Huawei’s object recognition technology and puts the learning capabilities, speed and performance of its AI-powered devices to the test. 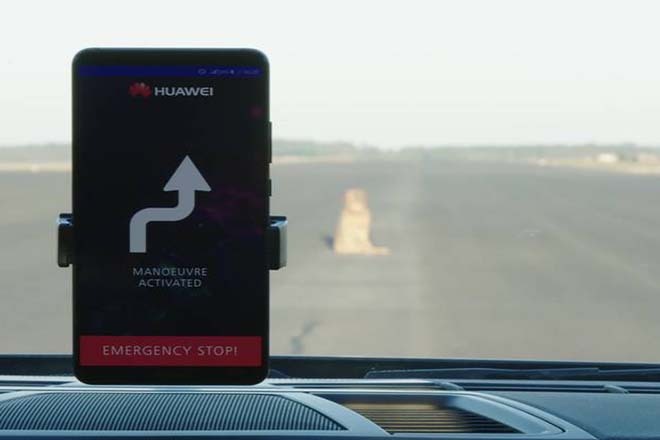 Unlike other driverless cars, which simply detect obstacles, Huawei has transformed a Porsche Panamera into a driverless vehicle that doesn’t just see, but crucially, understands its surroundings. This means it can distinguish between 1,000s of different objects including a cat and a dog, a ball or a bike and learn to take the most appropriate course of action.